"The Students of Springfield Street" is a skillfully woven tale of six student friends, during one twenty-four hour day. Each of the stories (and there are six! ), interwind throughout the day, crossing each other by the decisions that are made, and how those decisions change the course of each of the friends lives, without them knowing. What are we shooting the film on? We are shooting digitally at 5K resolution, more than x6 times the resolution of your high definition TV. This allows us to "future proof" the film and make it more widely available for future distribution models. We are lucky to have two RED EPIC cameras on this film, which will allow us to shoot more footage, more quickly and to a standard that exceeds 35mm film. Our talented crew includes: Director of Photography, Tom Dobbie; Production Designer, Janet Cathro; Data Manager, Barry Gunning and Makeup Artist, Lou Mack. We are also pleased to be working with some of the leading acting establishments in Glasgow to source our lead actors. Casting commences mid-May, and we estimate that the main actors will be cast before the end of the crowdfunding period. Why do we want to make this film? We want to tell a dramatic story, in a different and unique way. This film is not using the normal 3-act structure of many Hollywood feature films. We believe the structure of the story and the characters, will lead to the drama unfolding in suprising ways. We believe that people will be able to relate to the characters, and feel the dramatic tension they are going through. We believe that people will relate to the relationships between the characters, especially our target audience which is 18-35 years olds. We are crowdfunding this project because we believe that it affords us the most amount of creative control over the entire project such as casting, locations, music and more importantly, the final cut. Crowdfunding seems to be the way forward for independent filmmakers to make smaller and more personal films without letting them sign away any of their creative control. This also gives us the best chance when it comes to distribution as we have the final say as to when and where the film will be seen, in what cinemas and on which platforms we make it available for people to purchase. Firstly, no-one is getting paid a fee for this film. The entire cast and crew are part of this production because they love the script and they really want to see the film made. What are our plans after we have finished the film? 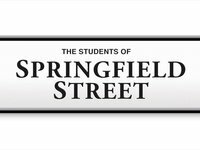 We are planning on shooting "The Students of Springfield Street" over 21 days this summer (July and August 2013), with plans to complete the film to a 4K Digital Release and enter the film in Film Festivals throughout the UK and worldwide. We also want to raise the profile of everyone involved in the film and be able to bring more filmmaking projects to Scotland. We're aiming to have our Glasgow Screening around April 2014 at the latest, sooner if possible. There are some amazing packages on offer to our backers starting from a thanks on our facebook page and your name in the credits of the film, through to digital copies of the film, soundtrack, a "Making of" eBook, a walk-on part as an extra, signed posters, tickets to a "Cinema Screening" of the finished film and even the opportunity to become a co-producer of the film and have your name on the opening credit sequence. For our Power Players Package, we are offering the use of our RED EPIC Camera for a weekend for your own production or a corporate video for your business (of up to 3 minutes), produced by the team at Futuristfilm Ltd. (Scotland based only). A number of our talented crew have worked in the television, advertising and film industries for a number of years. Steve Johnson (director / writer) has directed a number of music videos as well as a recent short film called "Day 29". Steve also owns a company called Futurist Digital Ltd which supplies the RED EPIC camera for hire to productions, as well as providing onset digital support and post production consultation. He's worked with a number of high profile clients and projects including STV Creative, "Outpost 3" (pickups) for Black Camel Productions, GramaFilms London, MI High (VFX Plates) for Kudos Productions to name but a few. We even hired out some equipment for Fast & Furious 6 when it filmed in Glasgow last year! Steve has also directed a number of corporate videos and he is part of RED Digital's Worldwide Training Team and teach at REDucationUK each year at Pinewood Studios. Tom Dobbie (Director of Photography) studied at Glasgow School of Art and The Royal College of Art. He was a successful commercial stills photographer for many years, before being seduced by the moving image. He's a lens and lighting fanatic, who has worked for many of the great luxury brands including Cartier, Debeers and Faberge, to name but a few. His recent work has seen him move out of the studio to corporate and documentaries as well as drama and music videos. This will be Tom's 5th collaboration with director Steve Johnson. Barry Gunning (Digital Imaging Technician) is a DIT and Photographer working in Glasgow. Barry's first career was in the fitness industry before deciding to reliase his passion of working in the TV and film industry. He's used a wide variety of cameras from DSLRs through to the film industry RED EPIC. Barry recently was the DoP on a short film and continues working on short films, music videos and commercials. Janet Cathro (Production Designer) is a successful interior designer based out of her design studio in Hamilton. Janet has spent years working with high profile clients on interior designs and has run her own business for more than 20 years. She has a successful online business called 'CushionBox'. Janet is designing and furnishing all the sets on the film. Lou Mack Henderson (Make up Artist) was trained at Jemma Kidd Makeup School. Lou is primarily a fashion makeup artist. After working on music videos for A1Baseline, Future Ages and Stephanie Manns last year, she is now transitioning in to film. With a passion for art and the creativity it brings and the need to be challenged in all aspects of her work. We have a number of other opportunites for things like "Product Placement" within the film. If you're interested in chatting about this, please feel free to email us at students@futurisfilm.com to discuss your thoughts. You can still like our Facebook page, tweet all about us, even tell your friends and family about our film. We only have 30 days to raise the money to make this film and without your help, we can't make it. Remember, if we don't make our target, then we get NOTHING!!! Steve Johnson Motherwell, United Kingdom12th June 06:55THANK YOU. THANK YOU. THANK YOU, to everyone for promising to help us. We PROMISE not to let you down!!!! Steve Johnson Motherwell, United Kingdom12th June 09:40Thanks to Dave for backing us with a promise. THANK YOU!!! Steve Johnson Motherwell, United Kingdom12th June 08:33Thanks to Dave, we are now at 108% of our project target. THANK YOU!!! Steve Johnson Motherwell, United Kingdom11th June 11:43Thanks to Kirsty, we are over the Â£5000 mark. WOW - THANK YOU!!!! Steve Johnson Motherwell, United Kingdom10th June 10:36And yet another backer. Thanks to Alexander for your support!!! THANK YOU!!! Steve Johnson Motherwell, United Kingdom10th June 10:05And yet another backer in the way of Lee - THANKS!!! Steve Johnson Motherwell, United Kingdom10th June 06:19And another backer - thanks to Gideon - THANK YOU!!!! Steve Johnson Motherwell, United Kingdom9th June 09:08And another - thanks to all the guys at BNI Sunrise for their support!!! THANK YOU!!!! Steve Johnson Motherwell, United Kingdom9th June 09:07And they keep on coming - thanks to Darren for his promise - THANK YOU!!!!! Steve Johnson Motherwell, United Kingdom9th June 09:07WOW - we made it. Can't believe that so many amazing people have help us reach our target so I can make this film. THANK YOU to you all!!!! Steve Johnson Motherwell, United Kingdom9th June 06:05And we're at that 99% with Â£3 to go thanks to Alistair and his promise. THANK YOU!!!! Steve Johnson Motherwell, United Kingdom9th June 05:38And we're at 97% thanks to Dionne & Colin Reed who have joined us as Associate Producers. THANK YOU!!!! Steve Johnson Motherwell, United Kingdom9th June 10:28And where over 90% funded thanks to Michael who's joined us as an Associate Producer. THANK YOU. Steve Johnson Motherwell, United Kingdom9th June 10:27And another few steps nearer thanks to Matthew, Annet, Michael and Jerome. THANK YOU! Steve Johnson Motherwell, United Kingdom9th June 10:27And another few steps nearer thanks to Matthew, Annet, Michael and Jerome. Steve Johnson Motherwell, United Kingdom8th June 12:30Big thanks to Nick who has just made a Promise to help us. THANK YOU mate!!!! Steve Johnson Motherwell, United Kingdom7th June 05:15Thanks to Peter and Sam for their support and getting us closer to that Â£4000 barrier. Only another Â£888 to find. Steve Johnson Motherwell, United Kingdom6th June 10:13Thanks to Audrey for pushing us over the 80%. THANK YOU!!!! Steve Johnson Motherwell, United Kingdom6th June 07:35Thanks to Raymond - our latest backer. THANK YOU!!! Steve Johnson Motherwell, United Kingdom4th June 01:11And another backer. This time, Lorraine has just promised to help us. THANKS Lorraine. Steve Johnson Motherwell, United Kingdom4th June 09:43Two backers this morning. BIG shout out to Debbie & Mick for their Promises. THANK YOU!!! Steve Johnson Motherwell, United Kingdom3rd June 09:16And another back in the way of Darren. Thanks Mate!!! Steve Johnson Motherwell, United Kingdom3rd June 02:20WOW - an amazing backer, Joanna Daly, has just promised us Â£1000. Joanna is now a Co-Producer on the film and will be getting her business advertised in the film with product placement. This is a huge backing and pushes us up to 73% funded. THANK YOU to Joanna and we'll be doing a short video diary with her in the next few days. Steve Johnson Motherwell, United Kingdom2nd June 10:21Thanks to John & Gavin for being our latest backers - THANK YOU!!! Steve Johnson Motherwell, United Kingdom31st May 05:51We're sitting at 52% funded with 11 days to go. Who can help us more further forward??? Steve Johnson Motherwell, United Kingdom29th May 09:53Six new backers this morning - Dave Craig, Thomas Haywood, Kirsten Boston, June Guthrie, Neil McAndrew and Kyle McAndrew - THANKS to all of you. Steve Johnson Motherwell, United Kingdom26th May 05:20Thanks to our latest backer today, Janette Hamilton - THANK YOU!! Steve Johnson Motherwell, United Kingdom26th May 09:49Thanks to our newest backer - Yvonne Moore - THANKS Yvonne. Steve Johnson Motherwell, United Kingdom24th May 08:50Thanks to our newest believer, Nigel. THANK YOU. Steve Johnson Motherwell, United Kingdom23rd May 08:49Thanks to our newest backers who believe in our film, Heather & Margaret. Thank you for your support. Steve Johnson Motherwell, United Kingdom21st May 11:29Thank you to Jon and David for your brave promises to help us. Another two people that believe in what we are trying to do. THANK YOU guys!!!! Steve Johnson Motherwell, United Kingdom21st May 07:50Thanks to Mark for being our latest backer! THANK YOU. Lets see if we can get over the 30% mark today! Mark Wright Glasgow, United Kingdom20th May 01:21You have a fantastic team on the film!! Can't wait! Steve Johnson Motherwell, United Kingdom20th May 11:10Thank you to Soraya for todays first promise. THANK YOU!!!! Steve Johnson Motherwell, United Kingdom20th May 09:26And into week 2 - lets see how much more we can bring in to help our amazing film. We've announced some amazing things over the last week, like our involvement with Maggies Cancer Centers, some brilliant technical partners we have on board like Atomos, an introduction to some of our fantastic crew like Tom and Nigel and of course, all our backers who BELIEVE in us and this project. Please, get on the blower and tell everyone you know in person, on your social networks, friends and family to come right here and buy promise. What will week 2 bring. Steve Johnson Motherwell, United Kingdom17th May 01:32Another backer believes in us - Thanks Gary for your promise - THANK YOU!!! Steve Johnson Motherwell, United Kingdom17th May 07:02Missed yesterdays profile as I was out meeting potential backers and sorting locations. Yesterday's PROFILE is Director of photography Tom Dobbie Tom studied at Glasgow School of Art and The Royal College of Art. He was a successful commercial stills photographer for many years, before being seduced by the moving image. He's a lens and lighting fanatic, who has worked for many of the great luxury brands including Cartier, Debeers and Faberge, to name but a few. His recent work has seen him move out of the studio to corporate and documentaries as well as drama and music videos. This will be Tom's 5th collaboration with director Steve Johnson. Steve Johnson Motherwell, United Kingdom17th May 06:59So great start to this morning and thank you to Rachel for her promise. THANK YOU! Steve Johnson Motherwell, United Kingdom17th May 06:59Thanks to Emma for her second promise yesterday. I really appreciate it. Steve Johnson Motherwell, United Kingdom16th May 08:27Off to a great start this morning. BIG thank you to Tanja and Gerry for making a promise. THANK YOU! Steve Johnson Motherwell, United Kingdom15th May 06:38Thanks to Will, David - our first Line Producer, Janet, Mark and Chris for their support. THANK YOU!!!!!! Steve Johnson Motherwell, United Kingdom15th May 06:37Great news today. We've managed to get to 22% funded after only 54 hours. This is amazing news, and a big shout out to everyone for promising to help us. Steve Johnson Motherwell, United Kingdom15th May 08:36Today, we're starting to introduce you to the crew of "The Students of Springfield Street". Todays PROFILE is Director & Writer, Steve Johnson: Steve has directed a number of music videos as well as a recent short film called "Day 29". 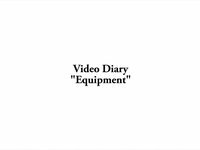 Steve also owns a company called Futurist Digital Ltd which supplies the RED EPIC camera for hire to productions, as well as providing onset digital support and post production consultation. He's worked with a number of high profile clients and projects including STV Creative, "Outpost 3" (pickups) for Black Camel Productions, GramaFilms London, MI High (VFX Plates) for Kudos Productions to name but a few. He even hired out some equipment for Fast & Furious 6 when it filmed in Glasgow last year! Steve has also directed a number of corporate videos and he is part of RED Digital's Worldwide Training Team and teach at REDucationUK each year at Pinewood Studios. Steve Johnson Motherwell, United Kingdom14th May 06:02We've had some great meeting today and we've brought on some great new additions to our crew which we'll announce over the next few days. Loads of technical support too from suppliers. Steve Johnson Motherwell, United Kingdom14th May 06:01Thanks to Mark, Andrew, Eric, Caryl and Nick for promising to help. That's pushed us to 10% in 30 hours - brilliant. Thank you!!!!!!!!!! Steve Johnson Motherwell, United Kingdom13th May 06:38Thanks to Norman and James for promising to help us. That's pushed us up to 7% in 4.5 hours - brilliant. Thank you!!!!! Steve Johnson Motherwell, United Kingdom13th May 02:41Thanks to Chris for being "Quick off the mark" and to David for their support. Thanks also too our other anonymous backer. 2% Already. + A digital copy of the film soundtrack. + A digital copy of our short film "Day 29"
+ A4 signed copy of the film's poster by our six lead actors. + Two tickets to a private "Cinema" screening of the film. + Your photo appearing on the opening credits on the film. 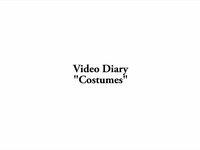 + An Associate Producer IMDB Credit. + Two additional tickets to the "cinema" screening, so that's four tickets in total!!! + Four additional tickets to the "cinema" screening, so that's six tickets in total!!! Steve Johnson Motherwell, United kingdom Ask Steve a question?